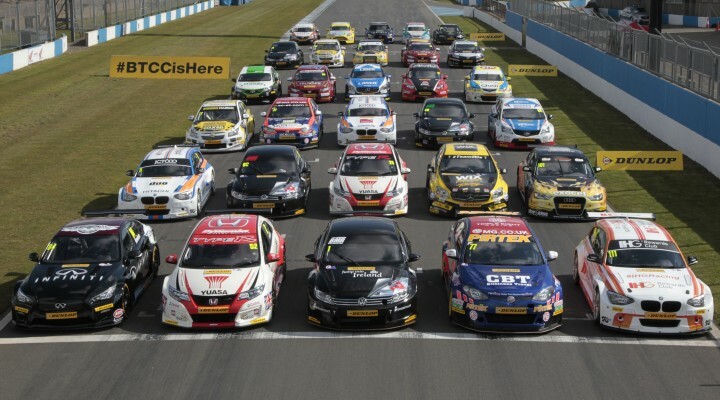 Home BTCC Our Top 10 Drivers of the BTCC season part one…. Our Top 10 Drivers of the BTCC season part one…. It was only fitting that a vintage BTCC 2015 season, packed with all sorts action up and down the field received the fitting send off it deserved with Gordon Shedden’s awe inspiring charge through the field in race 30 at Brands back in October. As the dust settles on what has been another bumper season of British Touring Cars, and with the 2016 grid already beginning to take shape ( See here for the confirmed TBL Licenses for 2016 ) we reflect on our top ten drivers of the season. Coming into the Championship winning team from 2014 can never be an easy task, and the outgoing Colin Turkington certainly left large shoes to fill over at WSR. Whilst 2015 wasn’t a vintage year for the BMW squad, Tordoff’s haul of two race victories and 270 points led him to a very creditable 6th place in table in his debut season with an ageing BMW 1 series which surely needs to be replaced before WSR can challenge for the title once more. Well done Ingram on a fantastic breakthrough year in the BTCC. His debut podium and duel with Jason Plato at Rockingham was one of the highlights of the season, and a follow up podium at Brands Hatch GP can only build momentum for similar results next year. Still at the tender age of just 22, the future looks bright for Ingram and Speedworks Motorsport. Eight Podiums, including two victories is testament to Priaulx’s ability to achieve results in top level Touring Car racing. On his return to the BTCC after a 13 year absence Priaulx more than showed his class, and looked to be in the running for the Championship fight until ELMS series commitments forced him to miss Rockingham. After an initial rusty start to the season, Andy’s title charge really picked up from Croft to Knockhill, making him the highest scoring driver over the summer period. We hope to see Priaulx back in the BTCC next season, where he can only improve. What a season this could have been for Jackson and Motorbase Performance had they been able to compete since the start of the season. Four Wins and 200 points from the final 15 races of the season underlies the competitiveness of the Ford Focus and Eco Boost engine, and a package which can only get better over the winter break. Jackson’s form after half a season out of the hot-seat was nothing short of stunning, and Motorbase must be taken extremely seriously by the rest of the grid heading into 2016. A fine 4th place in his 1st season back in front wheel drive machinery with Team BMR. Four race victories and a very respectable haul of 310 points kept Turkington right in the championship hunt all the way through until the final race at Brands Hatch in October. Despite fears from the BTCC community that Turkington might struggle which the switch from the rear wheel drive BMW his consistency in his first year with the Volkswagen squad was a true sign of his class and professionalism. Click here for our top five drivers of 2015.